Pet friendly, WiFi & Linen in a great location! Property 4: Pet friendly, WiFi & Linen in a great location! 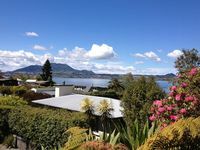 Acacia Bay is close enough to Taupo to enjoy its many attractions but just far enough away to avoid the hustle and bustle. 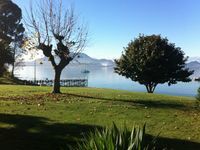 This property is tucked away in a quiet cul-de-sac just metres from the lake side. Everything we needed was right there. There a lots of walks, great for our small dog, shops close by for essentials including a pub/restaurant. The layout of this comfortable home gives lake views from every room except bedroom 2 and the bathroom. A great place for rest and relaxation! This is a great place to stay and the location is stunning!